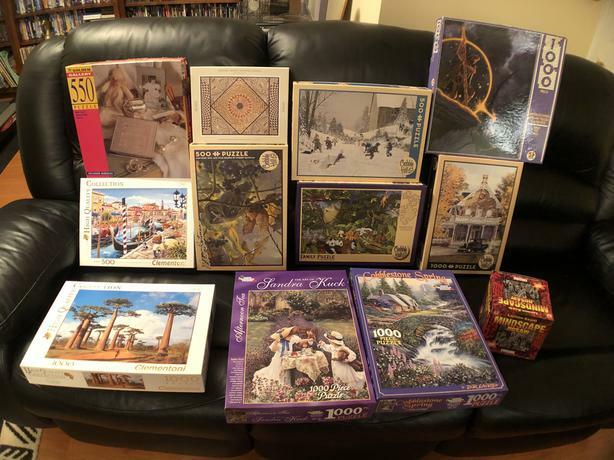 12 Jigsaw Puzzles for sale. Mostly 500 and 1000 piece ( for 5.00 and $10.00 ). Excellent shape - just like brand new.